Can temperamental roses be grown organically? Roses have acquired the reputation of being fussy plants. We’ve all heard that to grow beautiful roses requires chemicals and systemics. Is it possible to grow roses organically? Of course. After all, roses can survive for many years without any attention at all. Just think of the antique roses being rediscovered in abandoned cemeteries or the invasiveness of the multiflora rose in the northeast. Growing roses organically is really no different than growing any type of plant with organic techniques. Keep in mind that organic gardening involves more than not using chemicals. It means giving the plant what it wants and needs to grow well. Do that and you’ll have a healthy plant, better able to withstand pest attacks. Unfortunately, that is often easier said than done, especially with something as sentimental and sensual as roses. It can be very hard to give up the idea of long stem tea roses in favor of shrubby rugosas, but choosing the right rose for your area is rule number one. 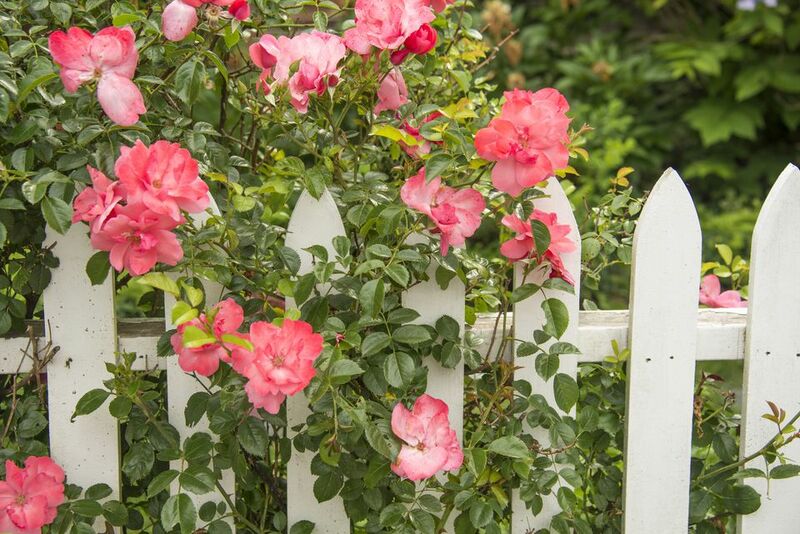 Choose roses suited to your area’s zone and climate. Tea roses grow very easily in hot areas, but where winters can be frigid, the Explorer series and old-fashioned rugosas will be much hardier. Select roses resistant to the diseases that are common in your area. Create wonderful soil by adding lots of organic matter. Keep the soil pH slightly acidic (6.0 - 6.5). Plant your roses in full sun. Provide afternoon shade in hotter climates. Allow space between plant for air flow and circulation. Use plant diversity to keep insect populations down. Underplant with a different type of plant. Water deeply and give them special attention during dry spells. Mulch with organic matter to keep their roots cool. Prune at the right time of year. Promptly remove diseased or damaged wood, to keep the problem from spreading. Clean-up and dispose of fallen leaves and debris, so they don't spread disease. Consider companion planting to deter bugs. Alliums to repel nematodes, nasturtiums to trap aphids, alyssum, geranium, rosemary, and thyme to attract beneficial insects. Learn to expect and tolerate a little imperfection. It’s hard to avoid black spot on your roses. If yours become infected, reach for organic solutions. Don’t reach for systemic pesticides that are going to throw everything out of balance. If you have black spot every year, consider improving both the air circulation in the rose garden and the vigor of your roses. If you have a reoccurring problem with black spot, you may want to take precautionary measures. Bordeaux mix helps to prevent fungal diseases, including black spot and powdery mildew. If it’s a problem every year, do a preventative spray right after spring pruning, but before the leaves open. Potassium bicarbonate fungicides can be used on mildew during growing season, in extremely humid areas. It tends to be safer than the homemade solutions with baking soda (sodium bicarbonate). Severe fungus infections can be treated with copper or sulfur fungicides. This may seem like as much work as growing with conventional treatments, but most of these techniques involve starting your roses off with the right conditions. Think in terms of making your roses happy and prevention before control and you’ll be thinking like an organic rose gardener.